Thinking about holiday toys? I am. The kids are already thinking, commenting and writing a list for the holidays. Toys R Us announced its top 100 toys list. 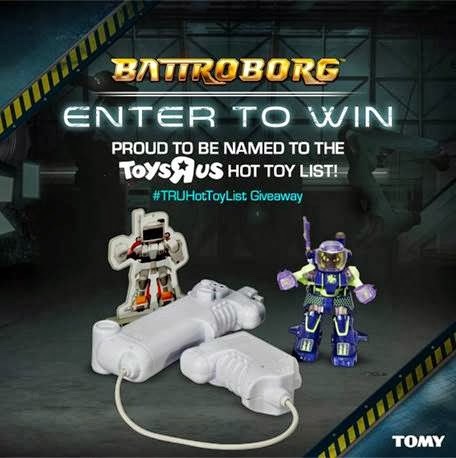 One toy that I and my kids are excited about it Battroborg. What's TOMY’s Battroborg motion controlled battling robots are built for combat and fueled by your own fists. The newest innovation in robot gaming technology puts players center ring, and transforms their quick jabs into their robot’s swift hits! You control the battle, you control the robot, you control your destiny. I know that one will be in our house very soon. What do you think of this new toy? Are you ready to battle?